Our product range includes a wide range of fancy pullover, designer pullover, promotional pullover, woolen sweaters, woolen pullover and formal pullover. We are instrumental in involving Fancy Pullover. The offered pullover is available in various magnificent designs and colors which give a unique look to wearers' personality. 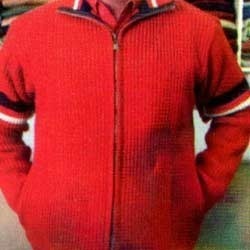 Offered pullover is stitched using supreme quality fabric and tailored properly thus provides long lasting wearing life. It is ideal for corporate dressing to be worn in offices and formal gatherings. 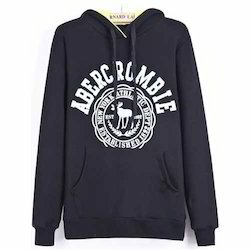 Backed by rich domain expertise, we are engaged in offering Designer Pullover. Our offered this entire range of pullover is available with us is in various artistic patterns, styles and colors to choose from. 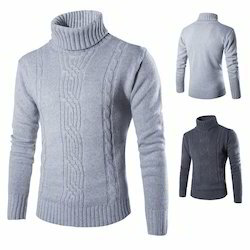 This high pullover is made from quality assured materials. Moreover, elegantly crafted these pullovers provide a unique style statement. We are popular organization, engaged in offering Promotional Pullover. 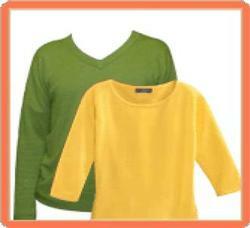 Our offered pullover is manufactured from industry grade fabrics that are procured from reliable vendors of the market. Moreover, this is worn for marketing or promoting certain brand or campaign. It is available with us in various sizes and colors. "KDR Woollen Industries", established in the year 1961, is known to be one of the leading manufacturers, suppliers and exporters of this commendable range of Woolen Garments and Yarns. The range consisting of Uniform Sweater, Woollen Jacket and Woolen Pullover, Woolen Sweaters has a high preference in the market. Manufacturing of these done in accordance with the industry set norms and guidelines, using the finest fabric, wool and modern machines, highly standardizes the products. In addition, the offered range is widely asked for, owing to its reasonable pricing. "KDR Woollen Industries", established in the year 1961, is known to be one of the leading manufacturers, suppliers and exporters of this commendable range of Woolen Garments and Yarns. The range consisting of Uniform Sweater, Woollen Jacket and Woolen Pullover, Polar Fleece Printed Blankets has a high preference in the market. Manufacturing of these done in accordance with the industry set norms and guidelines, using the finest fabric, wool and modern machines, highly standardizes the products. In addition, the offered range is widely asked for, owing to its reasonable pricing. 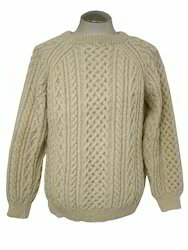 We are renowned name engaged in offering Formal Pullover. Our offered pullover is manufactured with using premium quality fabrics and threads and stitched perfectly by our craftsman. Moreover, this entire range is available with us in various designs, colors and sizes, known for quality and longer wearing life. Looking for Woolen Pullover ?